UPDATE: The Google Pixel 3 camera has been revealed and it looks like the below leak was 100% right. 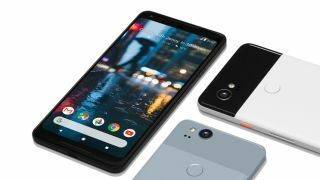 The Google Pixel 3 may well go down as the most-leaked phone in history, with the latest round of pictures and information confirming an AI camera will be on board which will choose your best photos for you. How does it do this? Well, it's actually a fairly simple mash-up of AI smarts and the new Google Pixel 3 camera's burst mode. According to The Verge, the camera offers up some new software in the form of two new modes: Top Shot and Photobooth. As their names allude too, these are modes that are for the selfie generation with both modes (hopefully) improving on portrait shots and making subjects that little more photogenic. Top Shot does what it says on the tin: the camera takes a bunch of photos before and after you press the shutter and then select the best ones for you. Photobooth, meanwhile, looks for the most photogenic photos you have taken and gets rid of any where you may be gurning or have your eyes closed (probably). The other camera-based leak comes in the form of a 'super res' zoom. Optical purists aren't going to like this one, as it sounds like the Google Pixel 3 will compensate its zooming capabilities with AI, offering up a super resolution zoom image, with artificial intelligence filling in the pixel blanks. So, AI is essentially adding more pixels to the Google Pixel 3 – creating an 'intelligent' digital zoom. The Google Pixel 3 get its official announcement this week, so all will be revealed then. But given all the leaks surrounding this phone, most of it has already been revealed. We will be getting a handset in for our best camera phone tests – so watch this space.